Throughout the 19th century and well into the 20th, ‘English’ nannies and governesses were in great demand. Nowhere was this more true than in the royal Courts, where children needed to learn a fluency both in other languages and in customs and manners which transcended national boundaries. This book draws from contemporary letters, biographies and journals to present a detailed, intriguing, humorous and at times tragic account of the women who ran royal nurseries and educated kings’ children. From Scandinavia to the Balkans future rulers grew up speaking English as their first language, following similar nursery routines and wearing similar clothes. 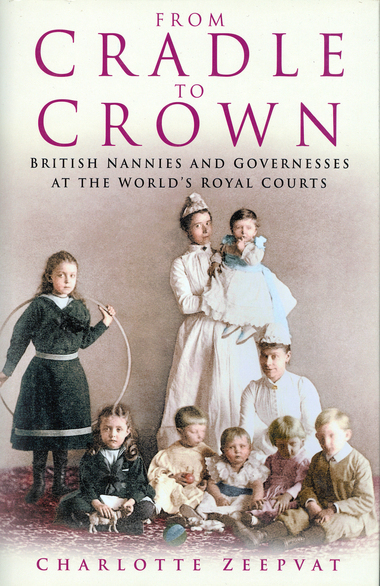 From Cradle to Crown traces the lives of the governesses and nannies and the royal children they loved and nurtured. It describes their presence at the heart of royal Courts all around the world; at weddings and coronations and the great events of nineteenth and twentieth century history which they witnessed.